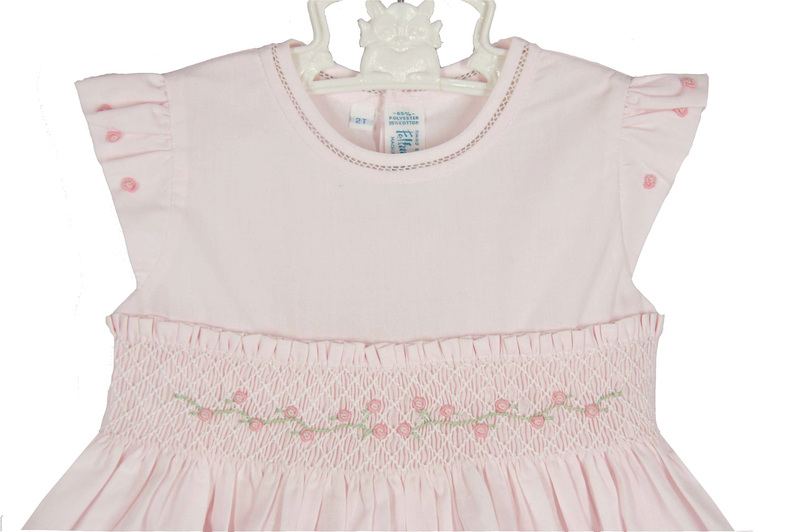 This lovely pink cotton blend smocked dress is made by Feltman Brothers, a top designer of quality baby garments. 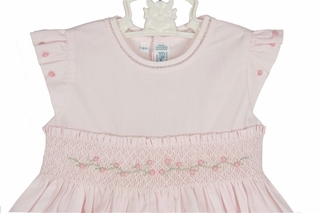 It features a smocked yoke embroidered with delicate pink flowers. 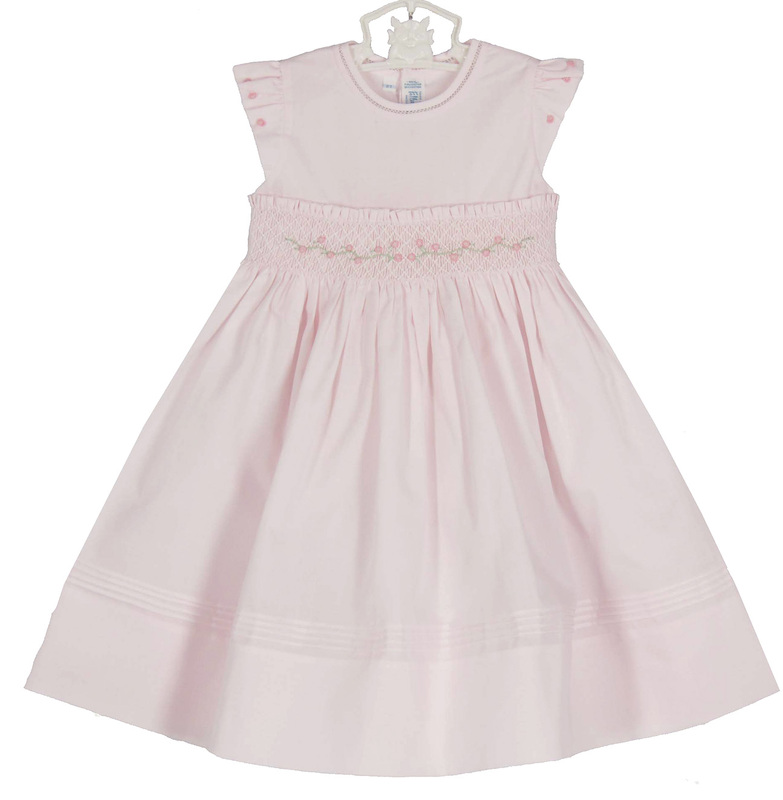 This sweet classic dress has a fagoted neckline and angel wing sleeves. The dress is finished with a deep 3½" hem topped by rows of pintucks. 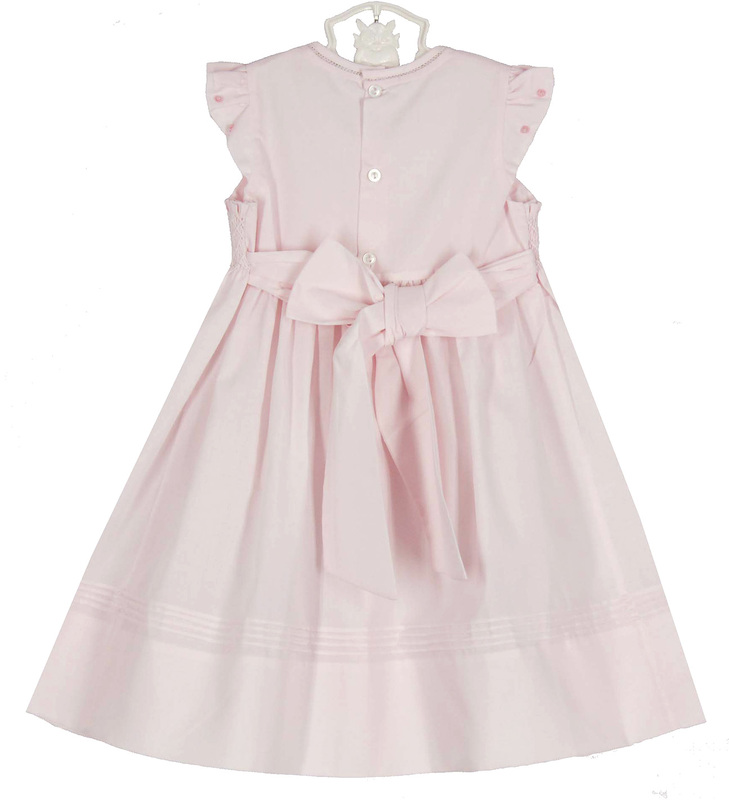 It has a buttoned back closure with a wide sash to tie in a big bow in the back. 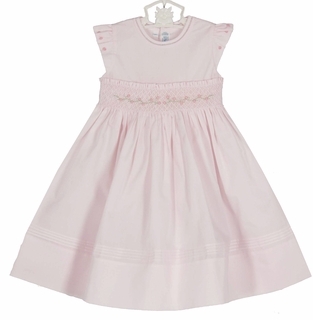 Such a beautiful portrait dress for your toddler girl! 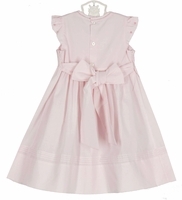 Note: This darling dress is also available in white. Matching bubble is also available. See below.